The oil is distinctly reddish in its natural color majorly because of the existence of beta-carotene. However, it is easy to confuse palm oil for palm kernel oil, which comes from the same fruit. The two, palm oil and palm kernel oil can as well confuse a careless observer because they resemble coconut oil, which comes from the kernel of the coconut palm. The differences are largely in color, palm oil contains beta-carotene, which makes it red, and the other two lack it. 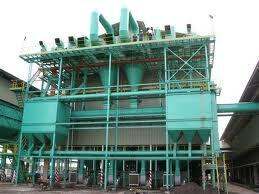 A palm oil mill has two major parts or departments, which perform their respective tasks. There is the part that presses oil out of the fruit, which is the oil press. The second department processes the oil; it takes the name, oil-processing machine, both the departments are under one department or machine that has a name of palm oil milling machine. It is however so important to note that the palm oil milling machines are in categories depending on their efficiency, durability, type of still used, capacity and how they operate. It would be better to consider stainless steel mills as such will last long and will be easy to maintain. They do not rust. The efficiency of the oil mill should be forty percent and above, it should not be too complicated to use and must be high yielding. Some palm oil mills are integrated, that is to say that they can press and process oil from seeds or fruits of other plants. They can make soybean oil and oils from other plants, some of them are automatic too, they almost require no manual work. This entry was posted in Palm Oil Mill. Bookmark the permalink.